If you want to do business with the defence industry, you need to reach the professionals by advertising in the Australian and New Zealand Industry Defence Equipment Capability Catalogue. ANZDD has for almost a decade provided the Department of Defence and defence prime contractors with a comprehensive list of sub contractors and small to medium enterprises seeking to be sourced as preferred sub contractors through the publication ANZDD. ANZDD is published annually and distributed by the Capability Acquisition & Sustainment Group (CASG) at its annual defence procurement conference. The readers of ANZDD are decision-makers in purchasing/procurement from the army, navy and air force, as well as the Department of Defence's acquisition shop fronts, who are responsible for providing information on tenders, jobs and company capability of performing particular tasks. ANZDD helps you reach the professionals. For more information please log on to www.jpmmedia.com.au. 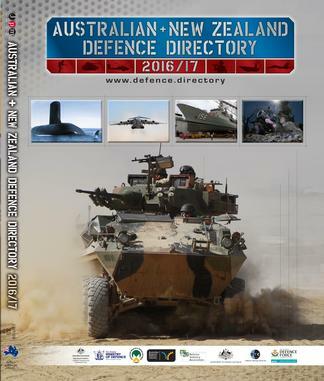 Be the first person to tell us what you think about Australian & New Zealand Defence Directory 2016/17 and you'll save $5 on your next purchase!